● Batteryman D: Negate the effect of a Spell or Trap Card that targets this 1 card. 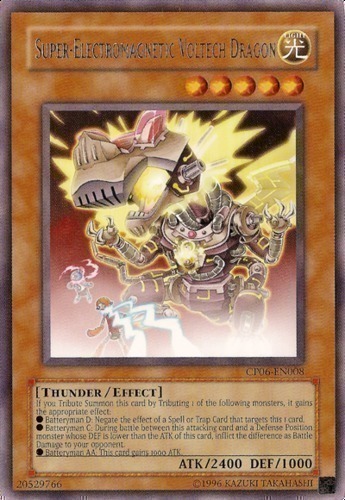 ● Batteryman C: During battle between this attacking card and a Defense Position monster whose DEF is lower than the ATK of this card, inflict the difference as Battle Damage to your opponent. ● Batteryman AA: This card gains 1000 ATK.